Usually Mon - Friday 12-4 pm and either Saturday or Sunday. Please call ahead to check if you are traveling any distance. I'm often out getting materials and sometimes attend craft fairs at the weekend. Please fill in the form below. I will get back to you as soon as possible to discuss prices, time-frame and delivery. Plus any special requirements you may have. 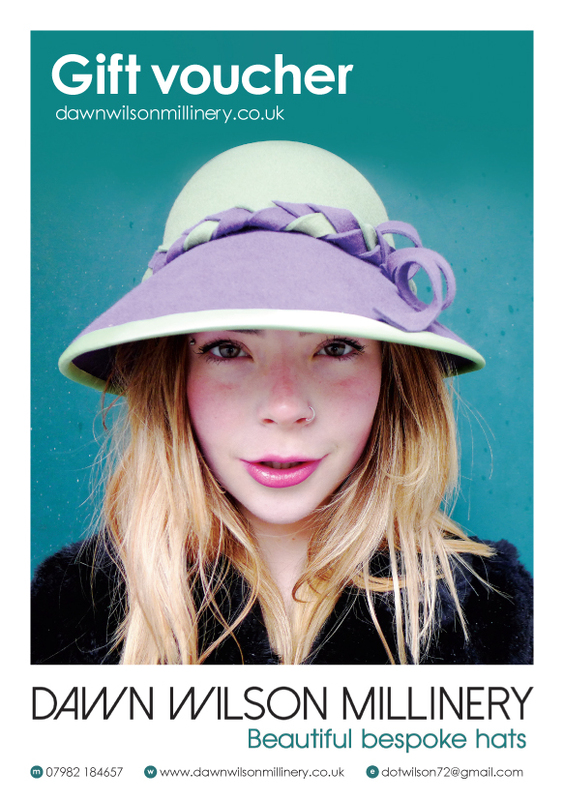 If you wish to order a bespoke hat and know your head size please enter it here or type it into the message field. If you have seen a style of wool felt hat that you like, please select your prefered main hat colour here. If you have seen a style of wool felt hat that you like, please select your prefered detail hat colour here. Do you need a hat for a special occasion? If so please entry the date it would be required by. Thank you for your email to Dawn Wilson Millinery.